Elmet, an Austrian operating system supplier for the injection moulding of two-component liquid silicone rubbers (LSR), has introduced a standardized barcode system for drum labelling and recognition as an integral part of its TOP 5000 P dosing systems. The system is unique in the industry. LSR is a two-component reactive chemical. The two components, A and B, are usually shipped in separate drum containers that are, however, very similar in appearance. Mix-ups can have serious consequences. The new identification system, developed jointly with Wacker, now virtually eliminates the possibility confusing the drums when replacing these, said Elmet. The system is very simple: WACKER’s drums are supplied with banderoles, which, in addition to the conventional A or B label, also have a barcode running around them. 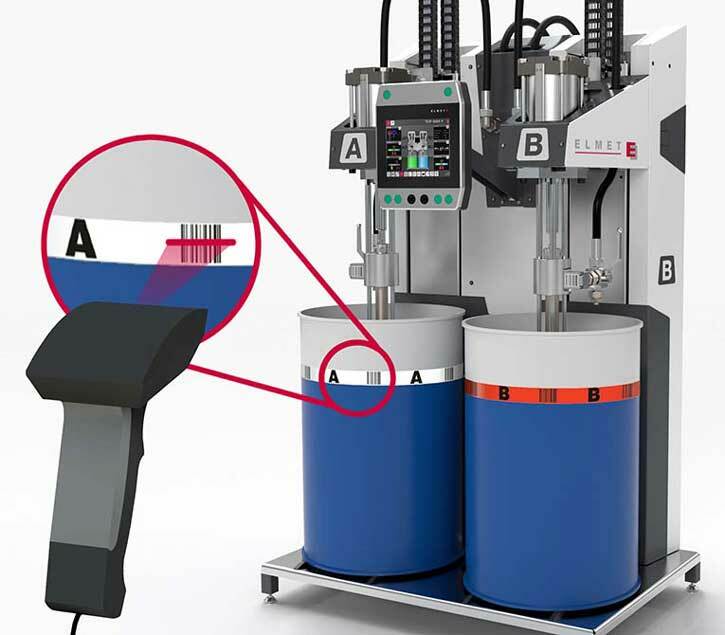 Optionally, ELMET provides its high-performance dosing system with a reading device coordinated to this barcode. The control unit of the TOP 5000 P only allows the pump to be immersed into the new drum if it recognizes the right code. The system is currently available as a hand scanner, but future models will be designed as height-adjustable, mounted reading devices. The system is an answer to the reality of everyday practice, said Helmut Gaderer, sales manager at ELMET, where unfavourable conditions “surprisingly often” lead to workers mixing up the drums, despite their labelling. 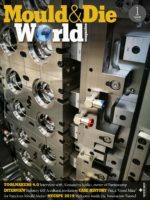 Two other large manufacturers of raw materials for silicone injection moulding are currently looking at the possibility of introducing the system, he added and all others are being called on to adopt this uncomplicated code in order to protect their customers against the risk of confusion. Elmet’s TOP 5000 P multi-component dosing system is designed for the large-series production of high-quality parts. It is suitable for shot weights of less than 0.1 g to several kg, for 200 l and 20 l containers and material viscosities of 9,000 mPas to 3,000,000 mPas, even when there are significant viscosity differences between the A and B components. The easy access design simplifies drum change and reduces the amount of space required for this. The automatic drum venting device reduces the amount of manual work needed when changing drums.